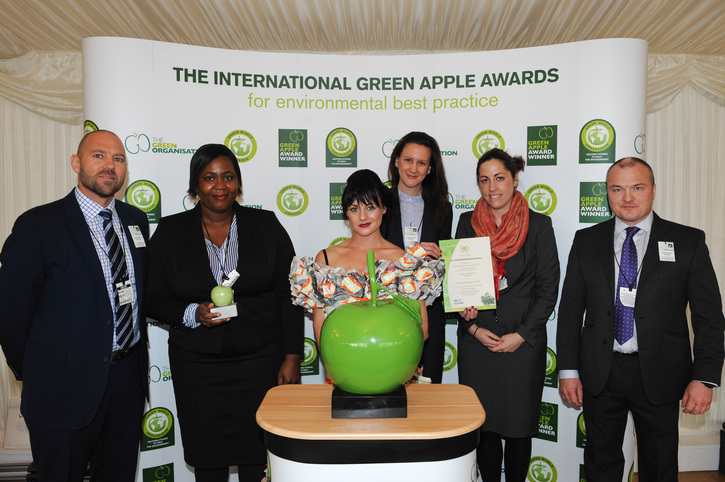 The Taylor Woodrow BAM Nuttall JV team picked up awards at both the Green Apple for the Environment and the London Healthy Workplace Charter awards ceremonies held last week. The London Healthy Workplace Charter Awards were presented by Deputy Mayor Roger Evans at a ceremony held at City Hall. It was there that the team were presented with the Mayor of London’s Commitment Award alongside the project’s Clarity health team. "These awards are fantastic acknowledgement of the whole team's hard work and commitment," said Contracts Director, Jez Haskins. "The team are continually seeking ways to improve and enhance both the environment in which the project works and the wellbeing of all of the workforce, which these awards rightly reward."